*Authorized Armstrong Dealer* From sales to service to installation, Floors To Go Carpet Barn has what you're looking for. Shop our wide selection of name-brand carpeting, hardwood, laminate or ceramic tile flooring and see first hand how we put you, the customer, first! Our sales team will help you choose the perfect flooring at a price to meet your budget. Once you choose your flooring, our experienced craftsmen will install your new flooring to beautify your home or office. From sales to service, see how our courteous, professional staff will go out of their way to meet your needs and deliver a finished job that you can be proud of for years! Carpet Barn prides itself in offering only top quality flooring products, which are complimented by professional installation services. "We see the job through to its completion" quotes Bob Jones. 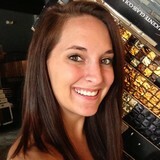 The customer's total satisfaction is the ultimate goal of every sale at Carpet Barn. 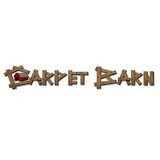 The Carpet Barn team will also help set-up easy terms if you need financing. We offer a "six months same-as-cash" program as well as other great plans for qualified borrowers. All of my project pictures are taken by the homeowner, builder, or installer! 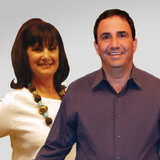 Elite Crete Midsouth represents www.elitecrete.com in the southern part of the US. We provide training, technical support and sales for our certified contractors. From Stamped concrete,epoxy coatings stains and overlays for interior and exterior, we have it all. Akel's Carpet One Floor & Home is more than just great flooring. For over 20 years, we have also provided the best customer service in Arkansas. As a locally-owned and operated business, each member of our friendly, experienced staff will work to ensure that you are completely satisfied with your new floor. Our Design Specialists can help you select the perfect flooring for your home or office, and if you're working with an insurance claim, we have experts to guide you through the process. Flooring is what we do. We know it better than anyone. We offer the largest selection of carpet, hardwood, laminate, tile, vinyl, custom area rugs and a more personalized shopping experience. And you’ll always find the best products, selection, service and great savings...every day. Our goal is to exceed your expectations every time. Your satisfaction is paramount to our success. Visit our showroom, browse our online catalogue or call us to request a FREE measurement today! We promise you'll love the way your new floor looks, or we'll replace it FREE – including installation. We hope to see you soon at Akel's Carpet One – We make it beautiful...for less! ProSource Wholesale offers the largest selection of wood, tile, carpets, rugs, and many other home improvement products at wholesale prices and for every budget. Visit me at our local award winning showroom. ProSource Wholesale offers the largest selection of wood, tile, carpets, rugs, and many other home improvement products at wholesale prices and for every budget. See my “projects” to view the unlimited selection that ProSource has to offer and see real room scenes from trusted local designers, builders and contractors who partner with me every day. Isbell Construction and Flooring is here to help our customers get exactly what they want, how they want it, and when they want it, without charging excessive/hidden fees. Our business has been built on honesty, integrity, excellent customer satisfaction. Lloyd's Carpet World (est in 1989) is your local small business flooring store, providing three generations of service, value, and dependability. Dycus Flooring LLC carries a complete line of products from the world's leading manufacturers. Listed below are just some of the quality brands we carry for your home or office. *Authorized Dealer of Regal Hardwoods* Hot Springs Hardwood & Supply specializes in providing the highest quality hardwood flooring products in the Hot Springs area and surround community. Custom Rug Manufacturing, specializing in the juvenile market. At Carpet Mills, we believe that people are happiest when they are offered choices that help them balance their needs and stay true to their values. And that’s true whether you are decorating your home or servicing a commerical project. That’s why we work closely with our customers – whether they are homeowners, architects or facility managers. We stand behind our products and our services. Our guarantees protect you and your investment to ensure you a confident, worry-free, and enjoyable shopping experience. Carpet dealers in Conway, AR help homeowners choose the correct carpet covering for their floors, and also assist with carpet maintenance. This includes determining factors like material, carpet pile, durability, color and size, as well as helping with any custom carpet design. After completing the initial installation (which includes removal of the old flooring, if applicable, and surface prep), they may also handle follow-up maintenance requests such as carpet cleaning, carpet repair and carpet stretching. Carpet dealers might work closely with Arkansas contractors, interior designers and others in the home building and home improvement industry. Here are some related professionals and vendors to complement the work of carpet dealers: Interior Designers & Decorators, Design-Build Firms, Specialty Contractors, General Contractors, Home Builders. Find a carpet dealer on Houzz. Narrow your search in the Professionals section of the website to carpet dealers in Conway, AR, and read reviews and ratings for pros in your area.